Don’t make the mistake of thinking that short haired girls are unable to experiment with elaborate styles! Anyone who believes that short hair cannot look feminine and beautiful is dead wrong. Ever since rebellious flapper girls first started lopping off their long locks in favor of short bobs back in the 1920s, short hair has been a staple hairstyle for chic fashionistas around the world. From blunt bobs to choppy ones and short natural afros to playful pixies, there is no end to the amount of short hairstyles you can play around with. Despite these many different hairstyle options being incredibly varied and unique, they do have one thing in common; when done correctly, short hairstyles can look chic, edgy and incredibly complimentary on just about any face shape. Of course, one of the best things about short hair is that it easy to style; totally hassle free. However, we all have days and special occasions when we want to add a fancy touch to our hair and upgrade our look. We never would have imagined that a wavy, shoulder length blunt bob could look so stunning. 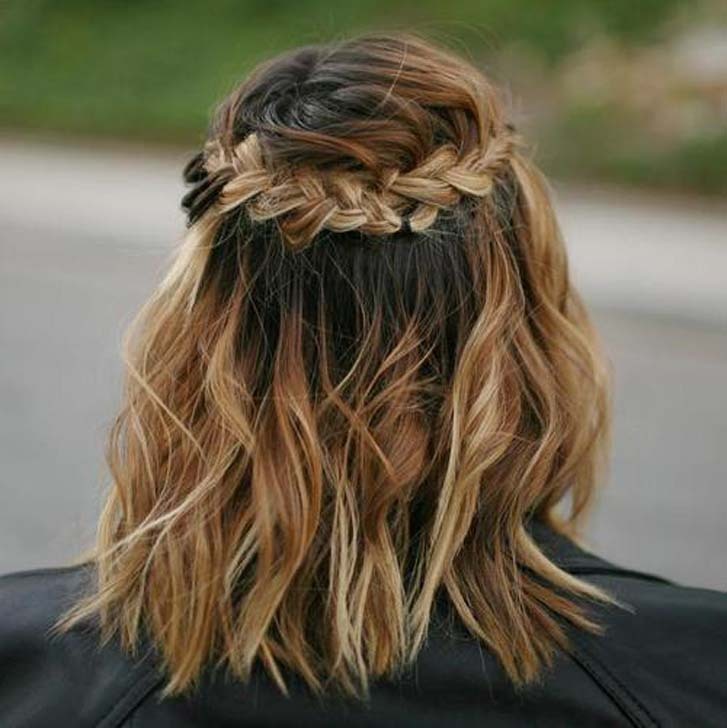 The gentle ombre caramel, honey and gold in these waves stands out even more thanks to those dark roots and beautiful, waterfall braid. 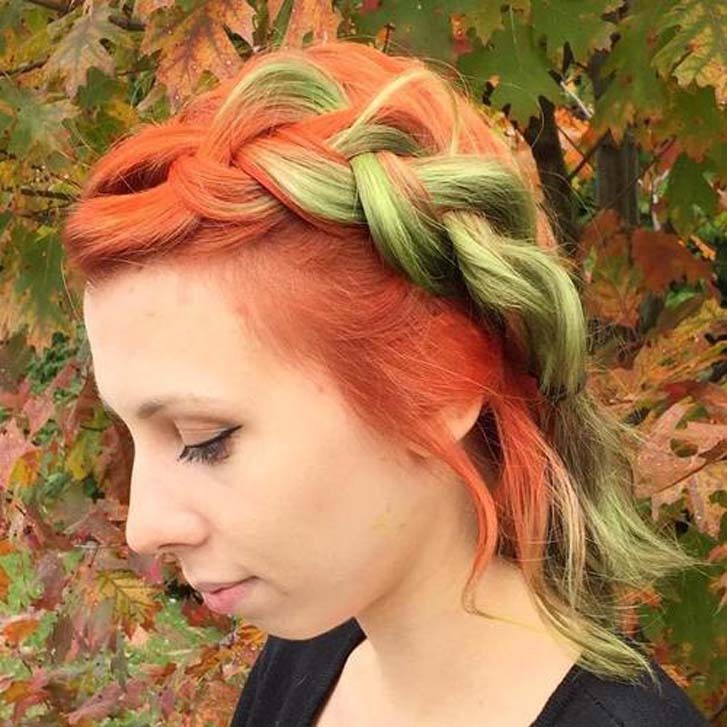 There’s something very autumnal about the mix of colors in this sweetly braided bob. Vibrant orange and a pretty forest green work perfectly together. Play around with temporary dyes or hair chalk and try this style for a festival or other fun event. It’s easy to see how unicorn braids earned their name. 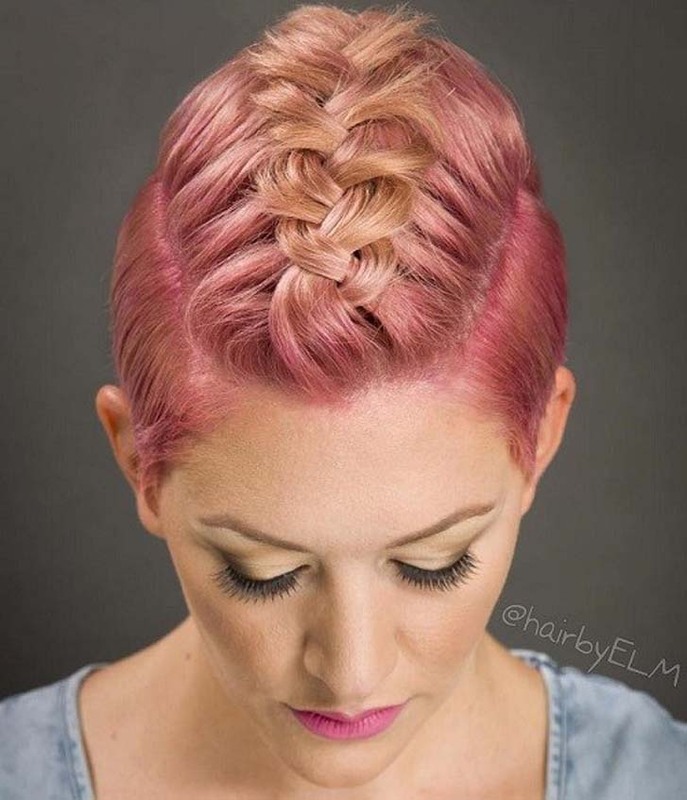 The hair on top of this pastel pink pixie has been braided into a simple structure, adding height and a touch of fairy tale magic to the look. 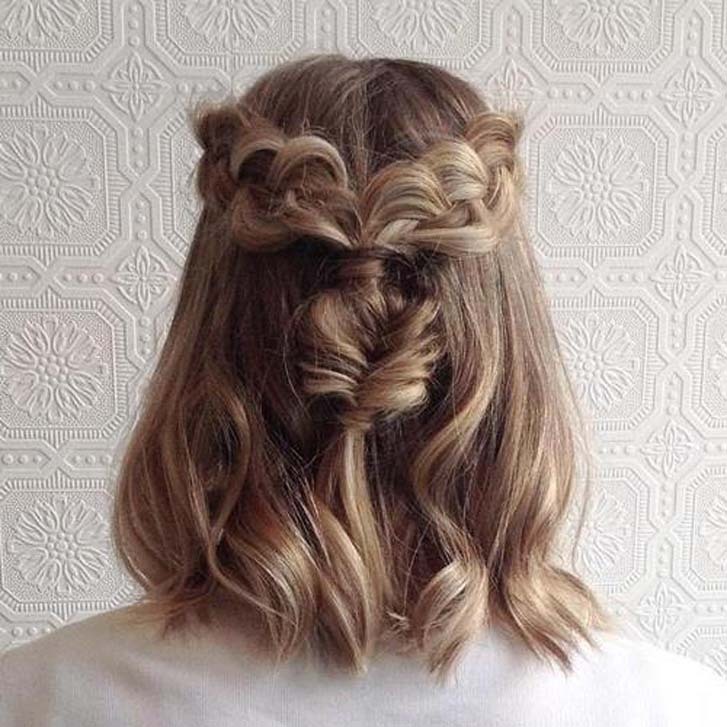 It’s surprisingly simple to imitate this hairstyle. 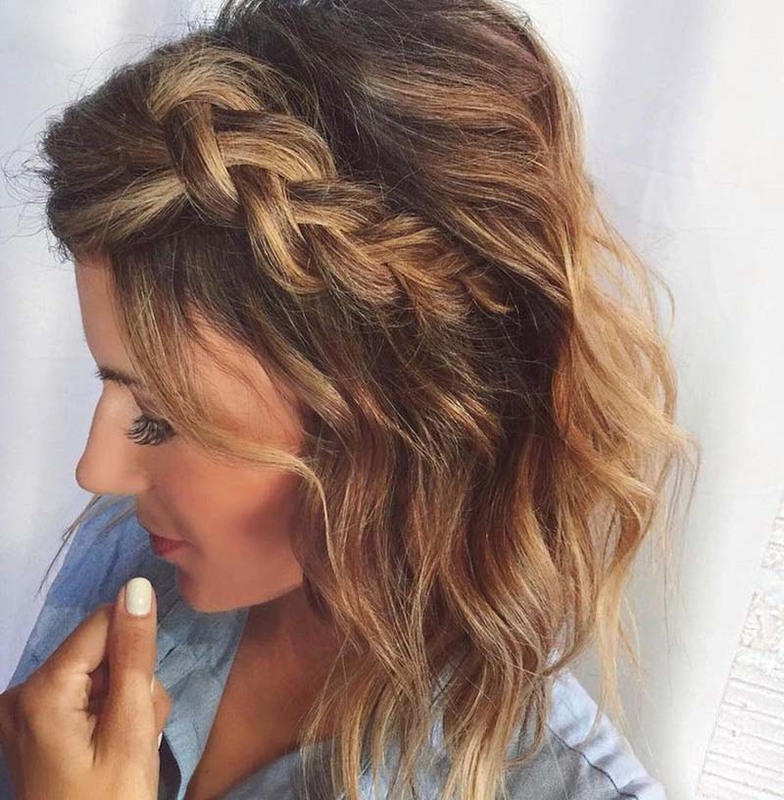 All you need to do is take strands from either side of your chic bob and pull them back into loose, chunky braids. Meet two sections in the middle and you’ll be good to go. 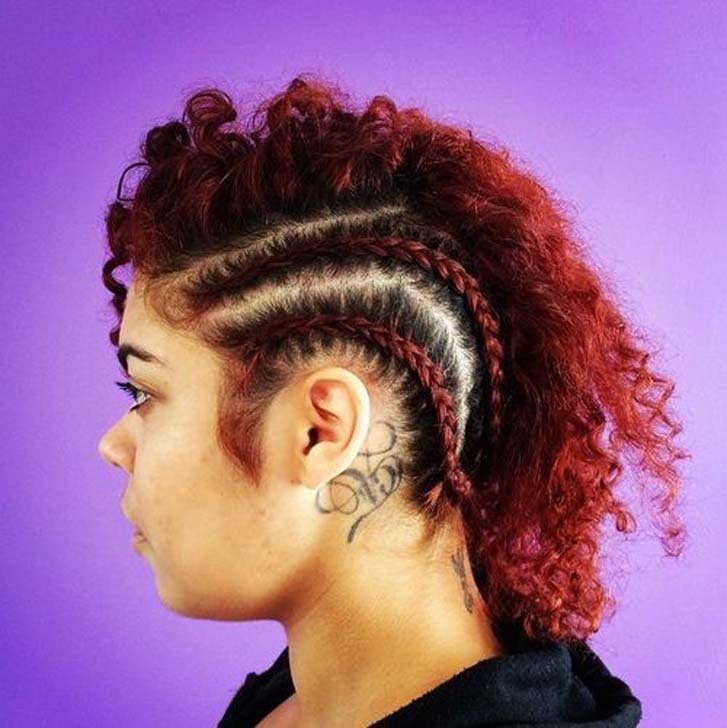 Cornrow braids can be used to create a rebellious faux hawk style, especially if you’re lucky enough to rock big, bouncy curls like these. If the style alone wasn’t rebellious enough on its own, then that fiery shade of red will definitely do the trick.